the project undo, redo and repeat investigates five artistic positions from 20th century dance, mirrored by those who curate, program, remember, and administer it and also keep it alive by spreading the word. christina ciupke and anna till question to what extend the knowledge of former dances by mary wigman, kurt jooss, dore hoyer, pina bausch und william forsythe have had on us. in what ways and by what means is dance history written and disseminated by those people whose specific knowledge is then passed on to others? what happens in the spaces in between these processes of passing on knowledge? what gaps occur, and how do they make space for new influences? irene sieben, reinhild hoffmann, martin nachbar and thomas mcmanus have been invited to reflect, in their own way, upon their position towards dance history. as contemporary witnesses and performers of the work they have already explored the legacy of the above mentioned choreographers by either being dancers or assistants for them. in undo, redo and repeat they become central figures in the transference of knowledge and experience as performers who have gone through the process of reconstructions of fragments of dance heritage. 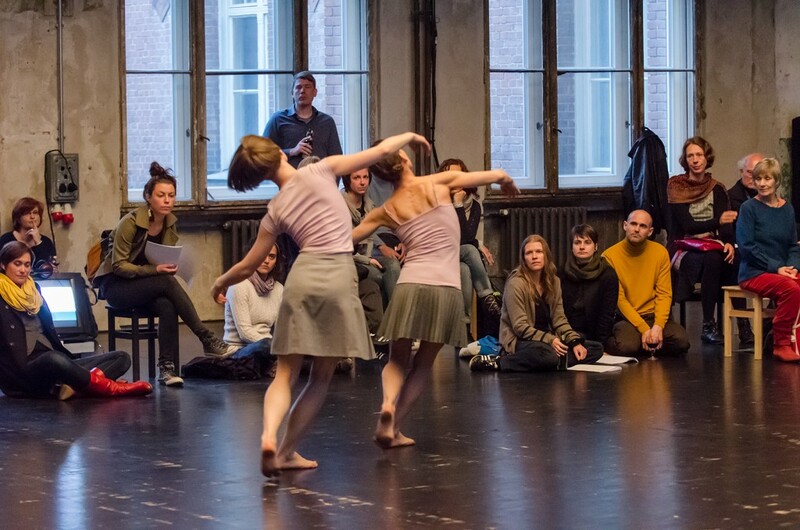 christina ciupke und anna till want to find out how exactly they keep their knowledge of choreographic approaches so vivid that they can pass it on to others. this knowledge is personal. it is not cataloged in an archive or a library. it is fragile and is based on memories that are subject to constant changes. with each individual eyewitness christina ciupke and anna till go into the process of what it means to pass on such choreographic material.